As an exclusive patented product of Motivation Industrial Equipment the Navigantry® eliminates the need for the traditional fixed or track mounted gantry. 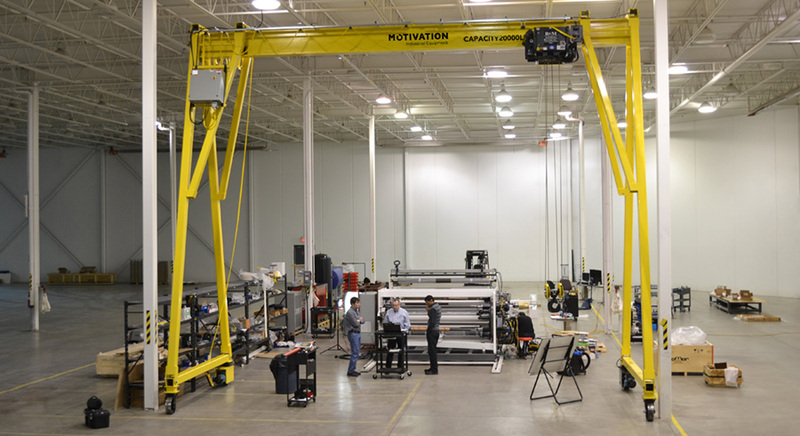 This fully steerable gantry crane provides the ability to service a greater surface area of your facility. Moving forward, backward, from left to right or even pivoting, the Navigantry® is an innovative material handling solution. Let us know what you plan to lift and how, our engineers with help select the right option for you.